We sit here with one half-finished MOC, three weeks after emerging from the neo-dark-ages, with two questions. 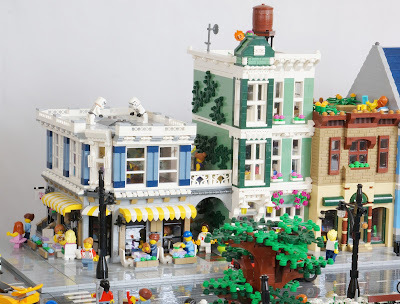 One, should we go to BricksLA 2019 in January? And two, has the Cafe-Cornerization of town reached peak transit? and an appropriate level of detail. We are struck with the lasting power of the Cafe-Corner scale. We lamented its ubiquity in the before-times, but we see now that Town is stronger than ever due to the frequent release of precedent-setting sets over the last 11 years. Brick Knight's buildings use a bunch of parts we don't recognize. The past few years have been kind to townies. 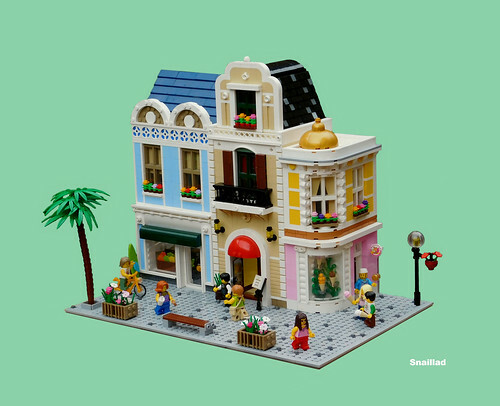 More that Moonbase, more than whatever this was, the simplicity of the Market Street Module seems to allow a wide variety of buildings to appear coherent, even tasteful. What has been the largest single display of Modules? Who is the best at it, the Modular Man? LUGs, let's form a Gild Guild. We are a sucker for soft pastels. We've missed the simplicity, timelessness, and joy of this hobby. Connecting pieces and in so doing, connecting with people. 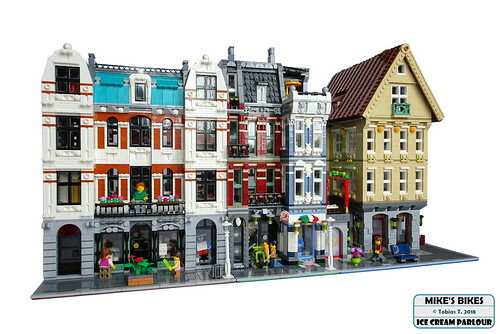 The modular building series is one of the things that brought me out of a grey age in the mid to late 2000's. I'd argue the style is ubiquitous because it's timeless. 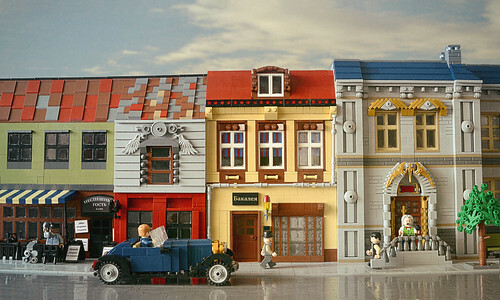 The same thread runs through every town set Lego has made (even those awful ones in the late 90's and early 2000's). 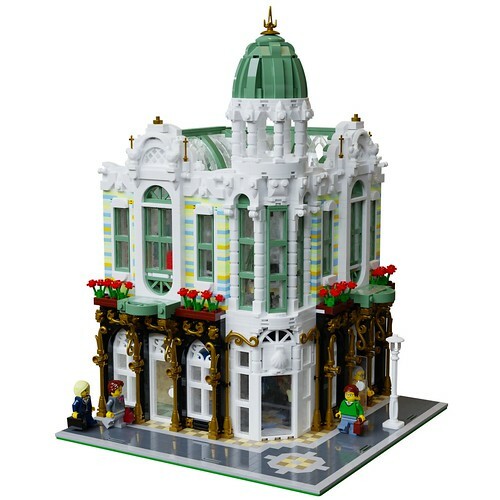 All the modular building style did was add more polish and attention to detail, and judging from both official sets and MOCs I don't think there's any danger of running out of ideas.